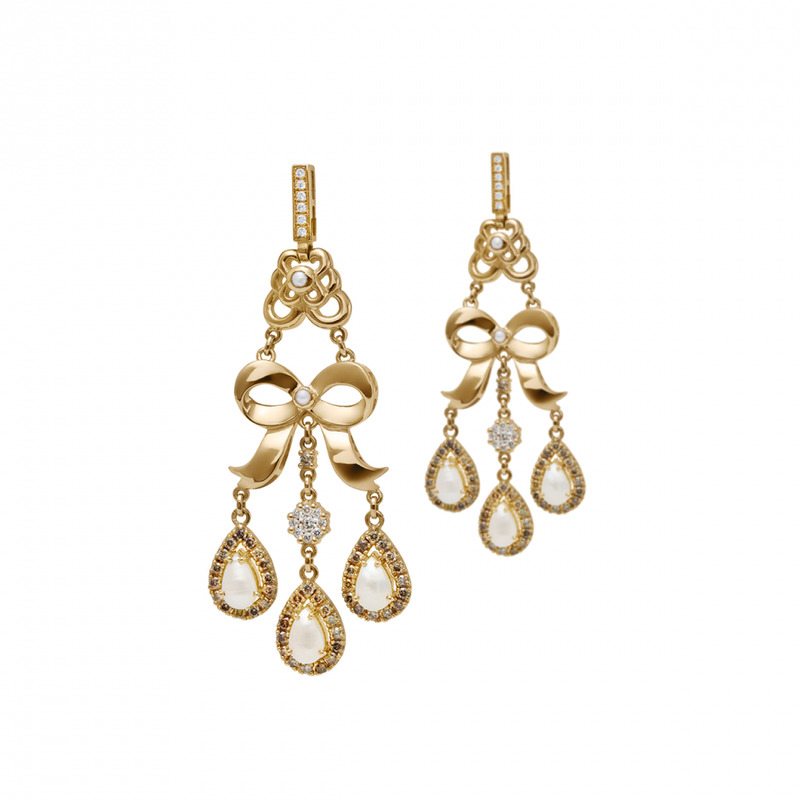 Bejeweled with diamonds, a set of heavenly stars and a moon are tied together, in 18kt gold. 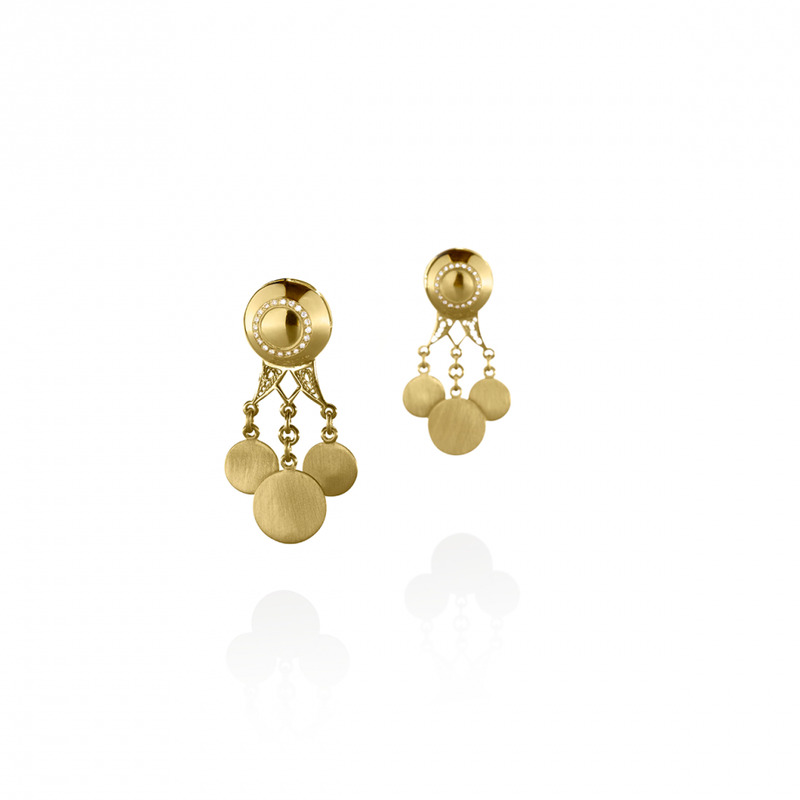 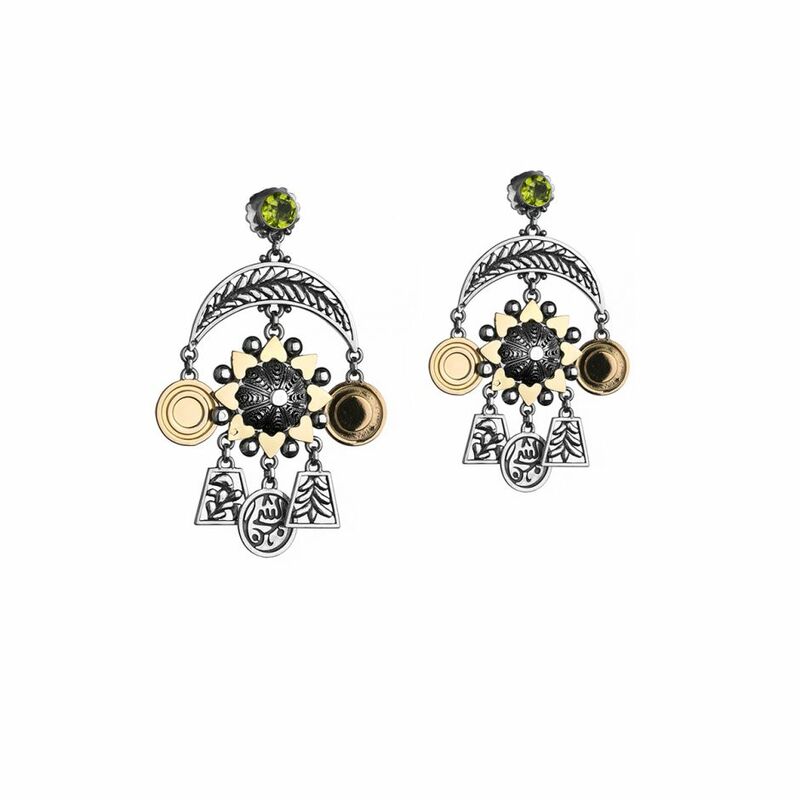 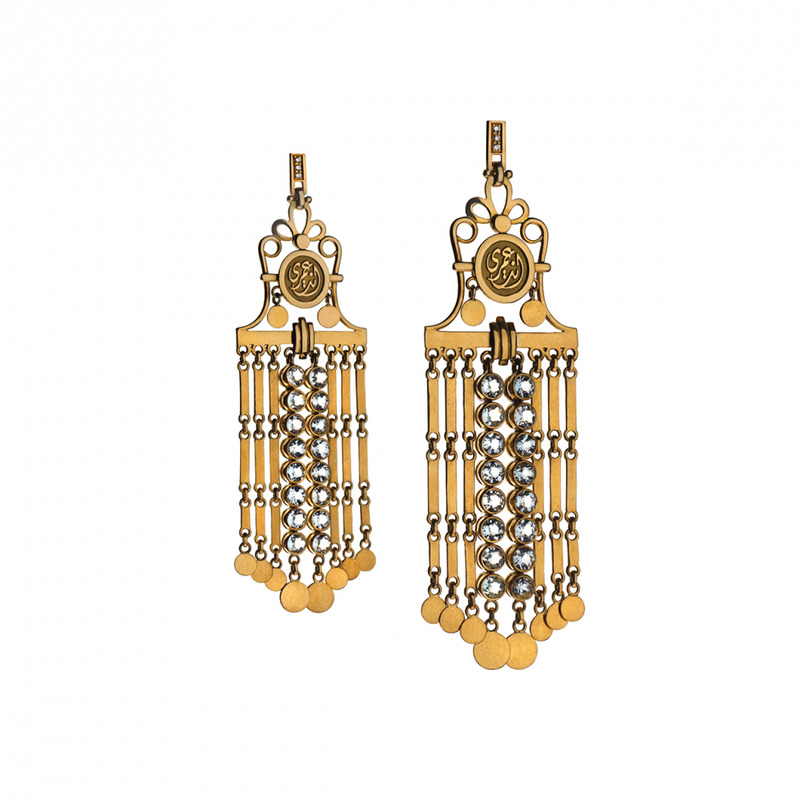 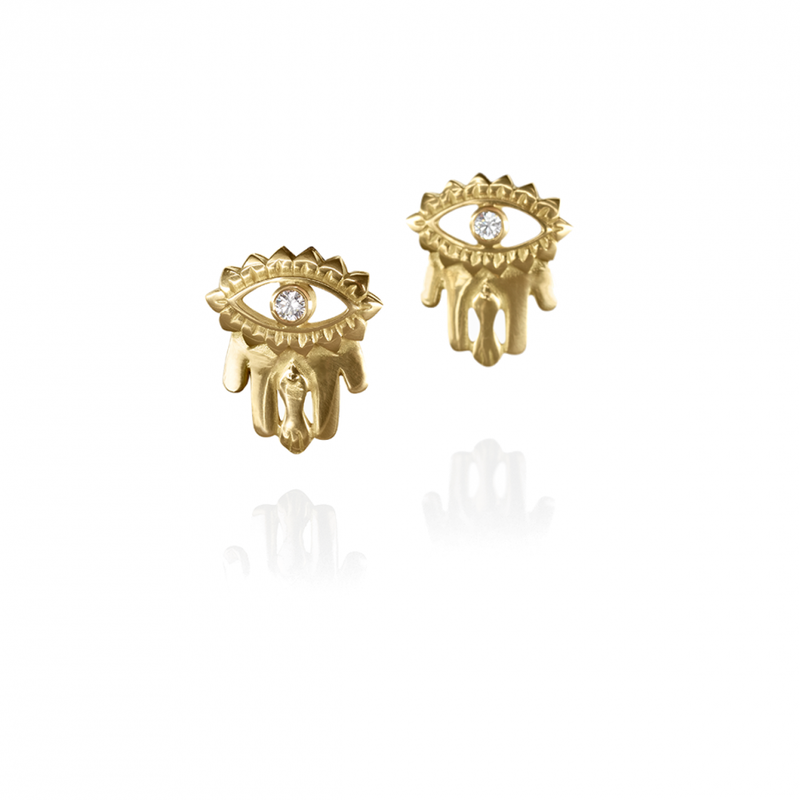 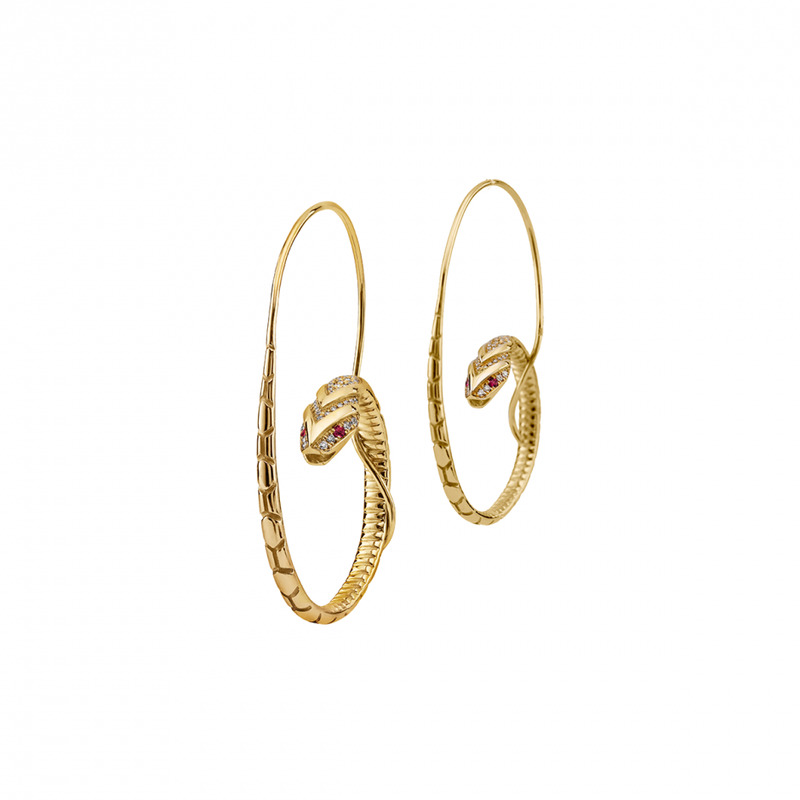 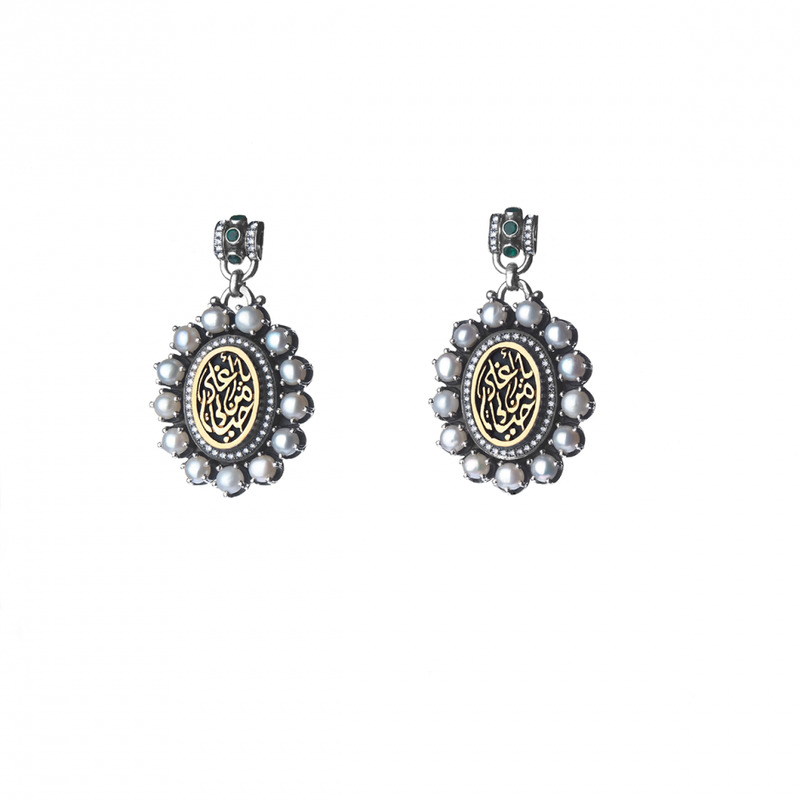 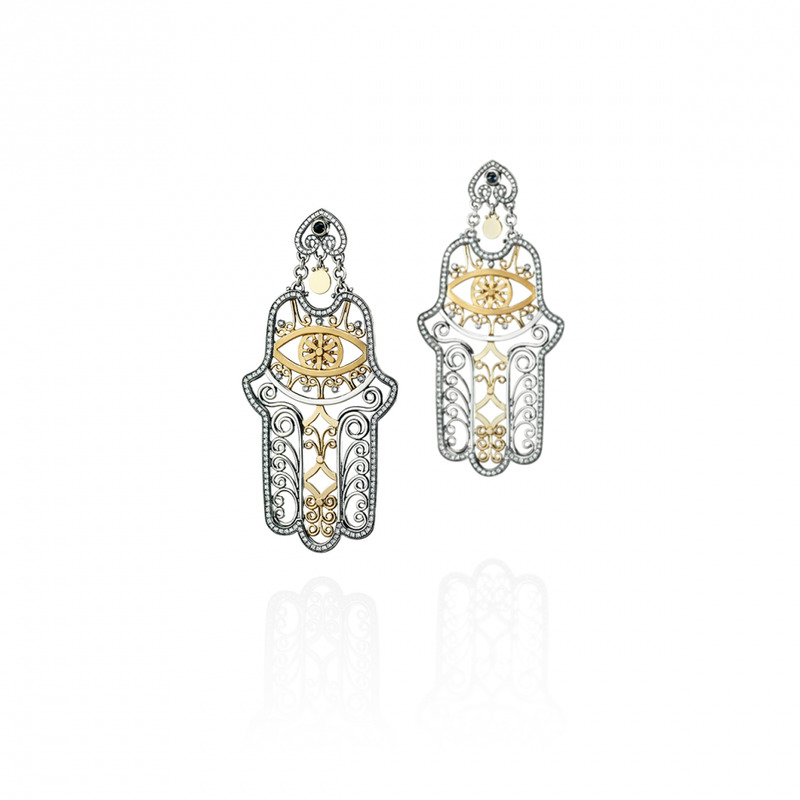 Hand of Fatima Amulet Earrings bejeweled with diamond stones, in 18kt gold. 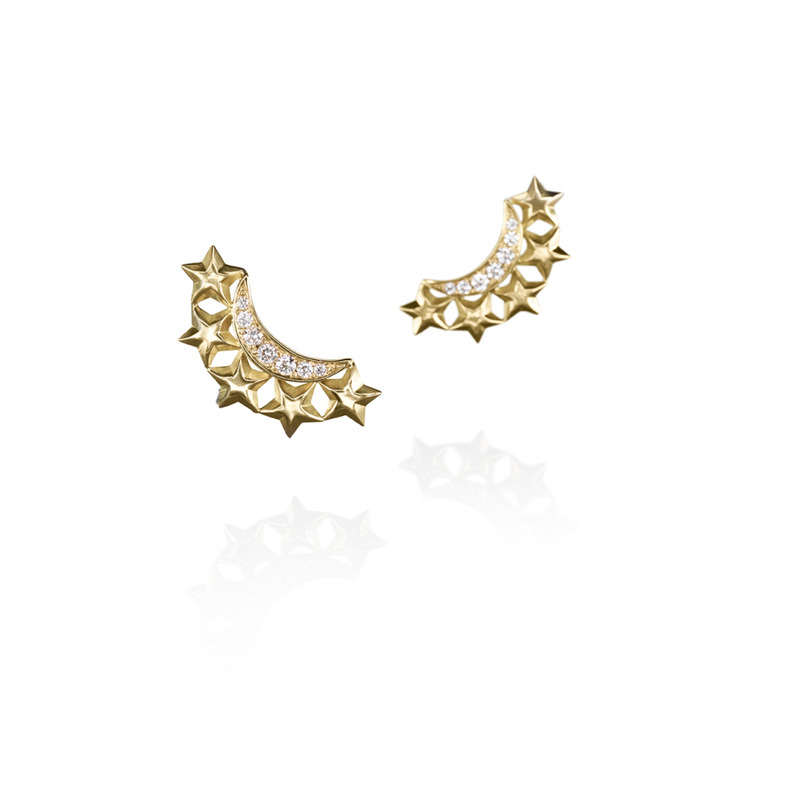 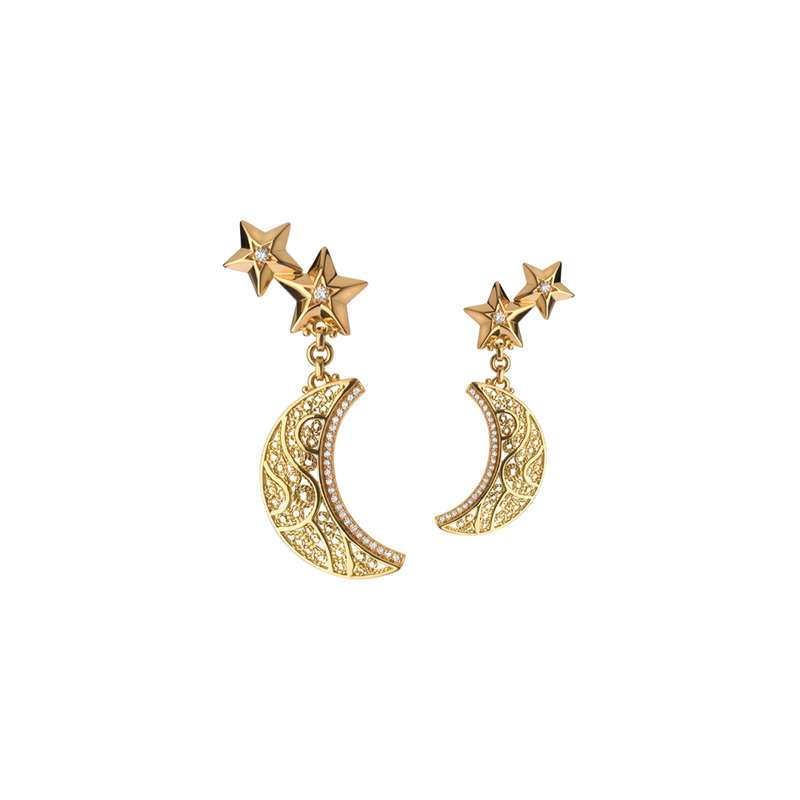 Bejeweled with diamonds, a set of heavenly stars and a filigree crescent are tied together in an 18kt gold pair. 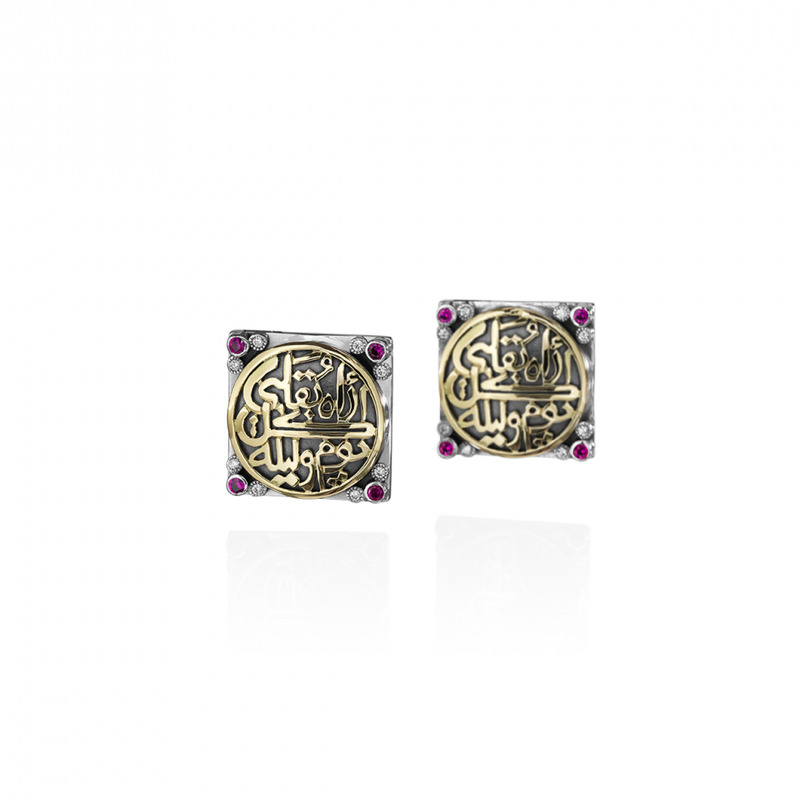 Classic 18kt gold and sterling silver Diamond earrings engraved with love words sung by the legend Umm Kulthum, reading: "You are More Precious than life"
A cascading pair encapsulating the spirit of Ancient Egypt, celebrating the Lotus flower; the blossom of life and creation, set in pave diamonds, 18kt gold and sterling silver. 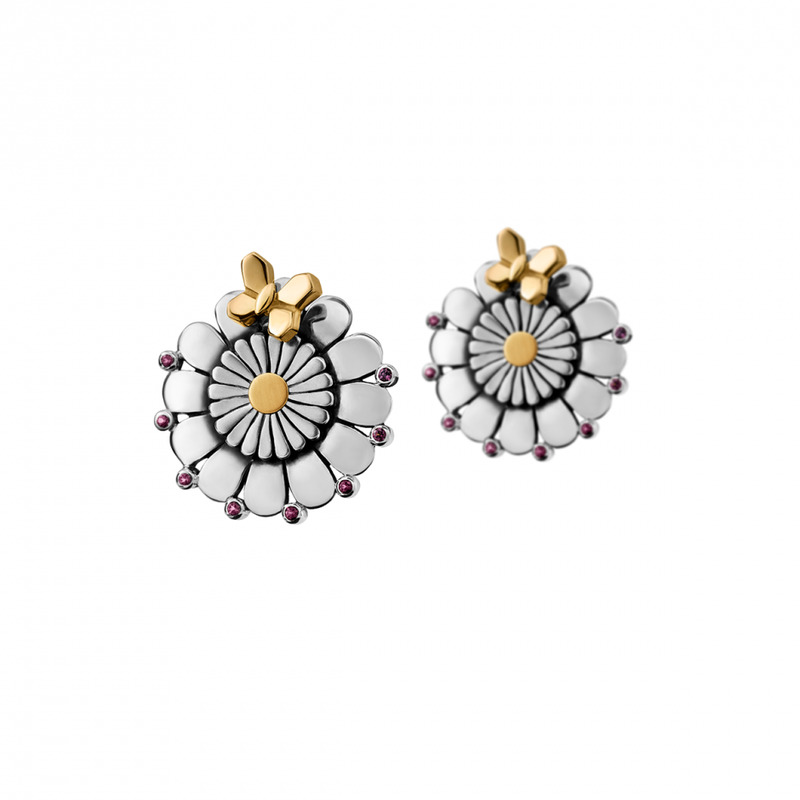 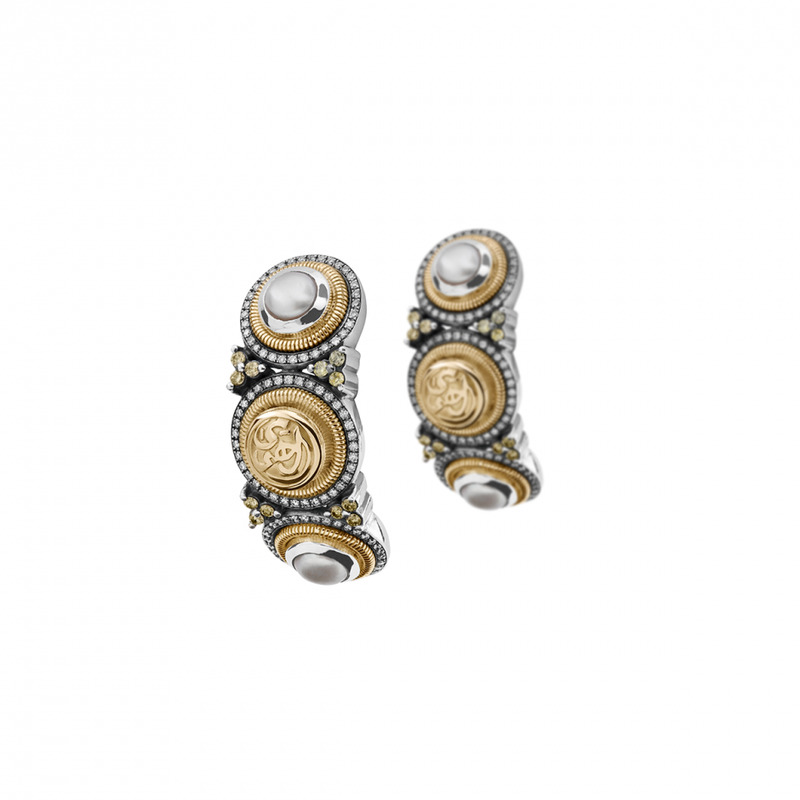 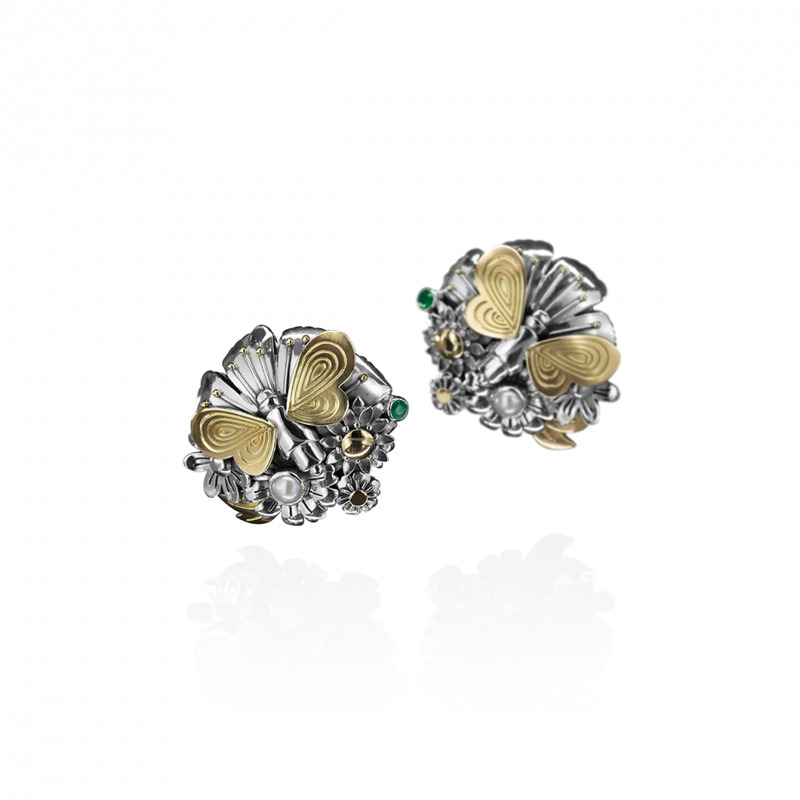 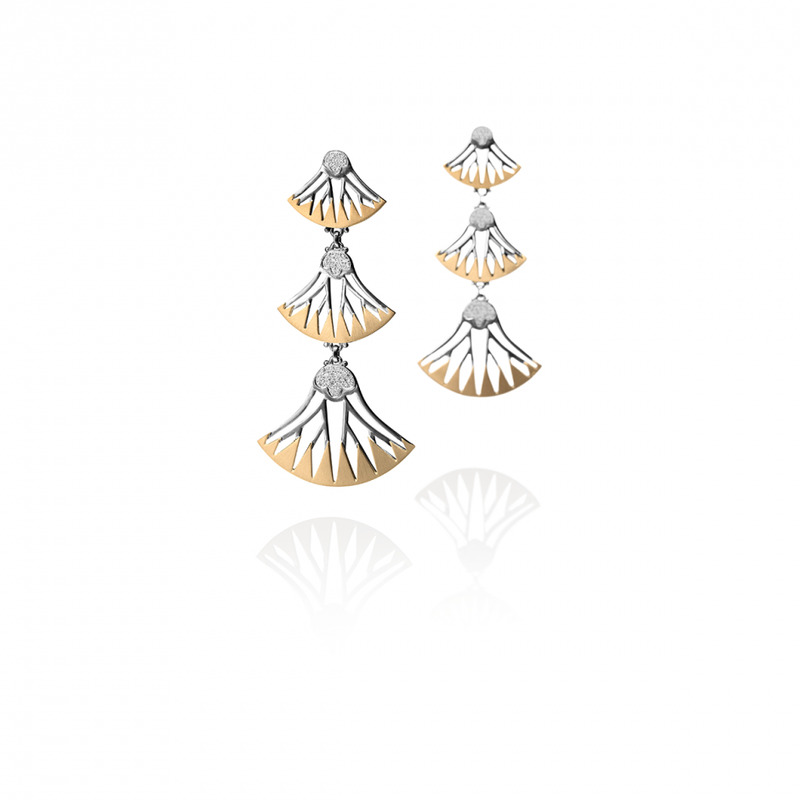 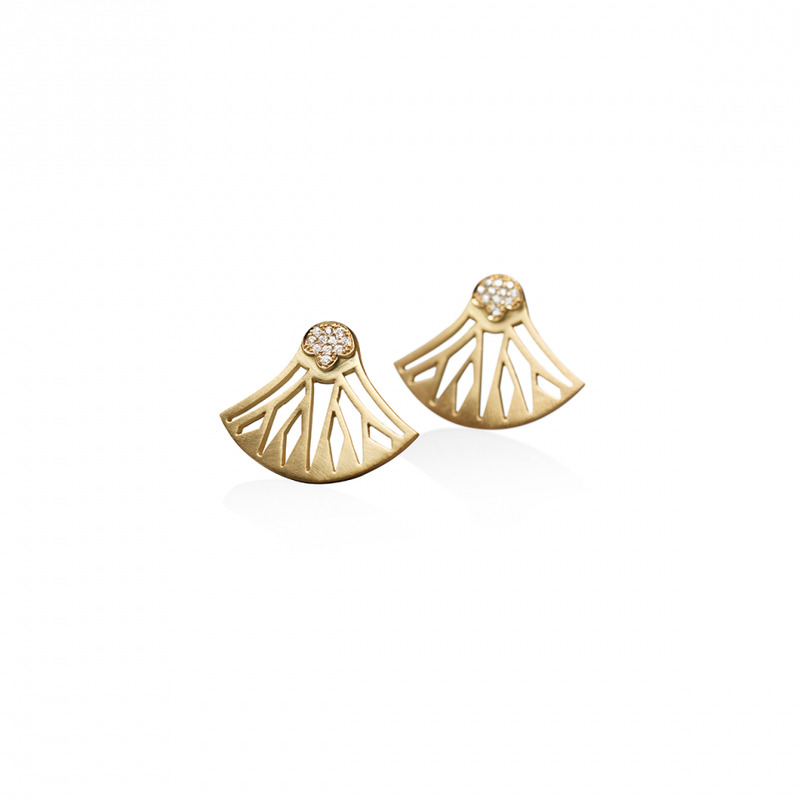 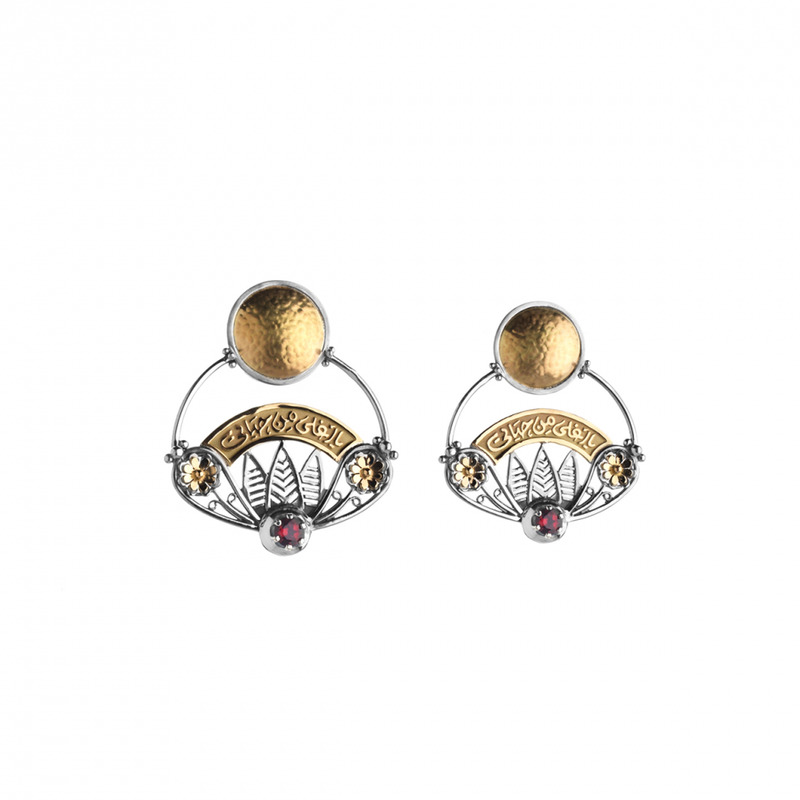 A button pair encapsulating the spirit of Ancient Egypt, celebrating the Lotus flower; the blossom of life and creation, set in pave diamonds in 18kt gold. 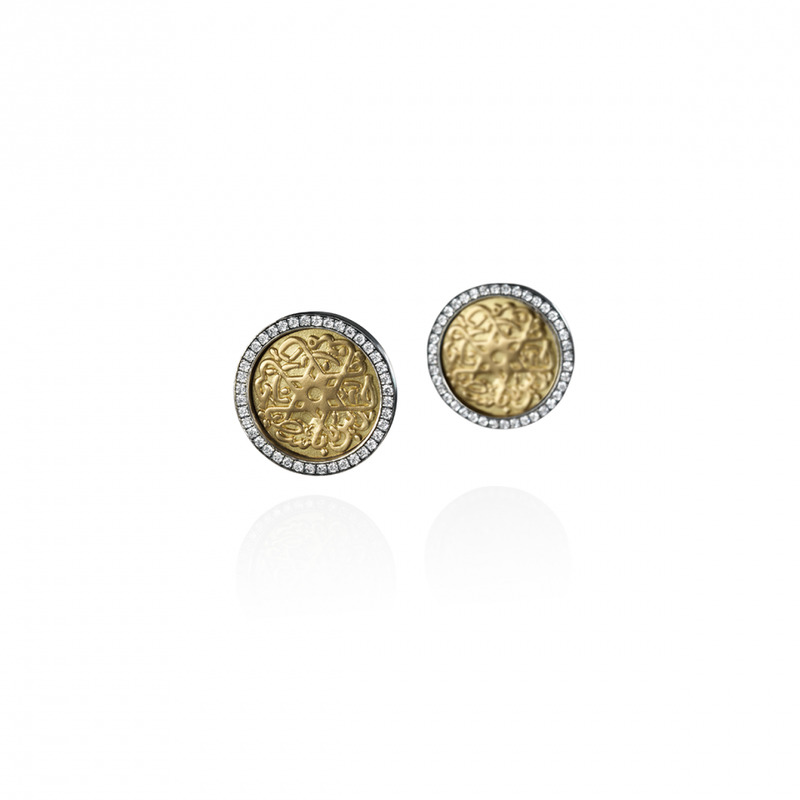 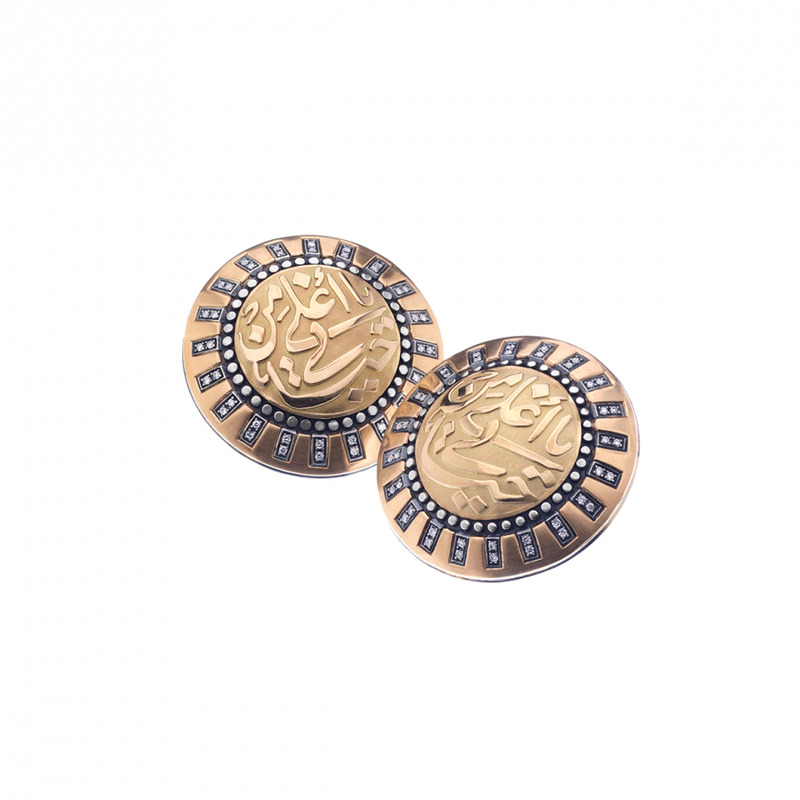 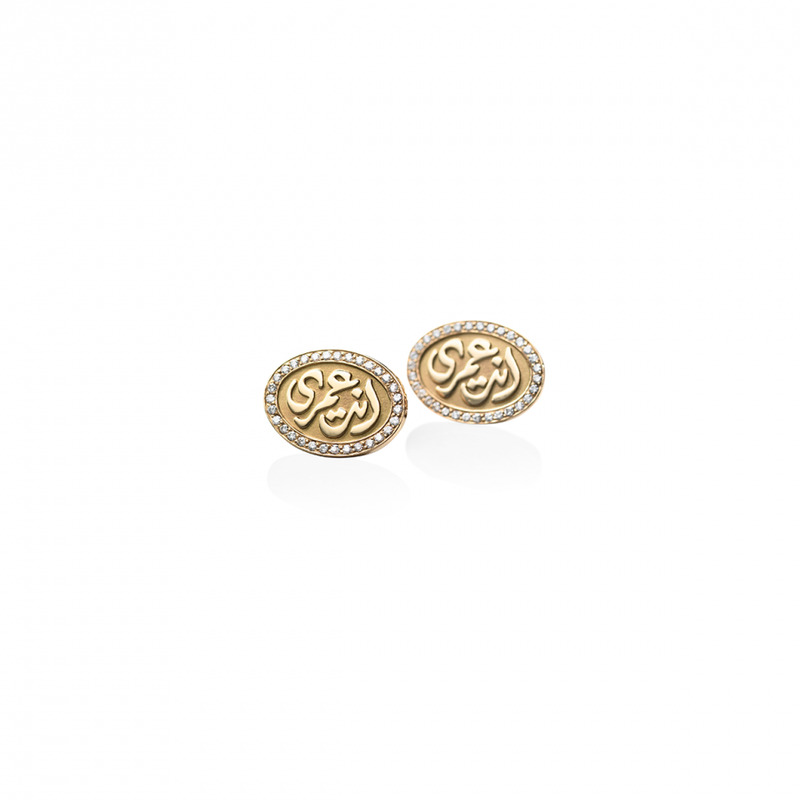 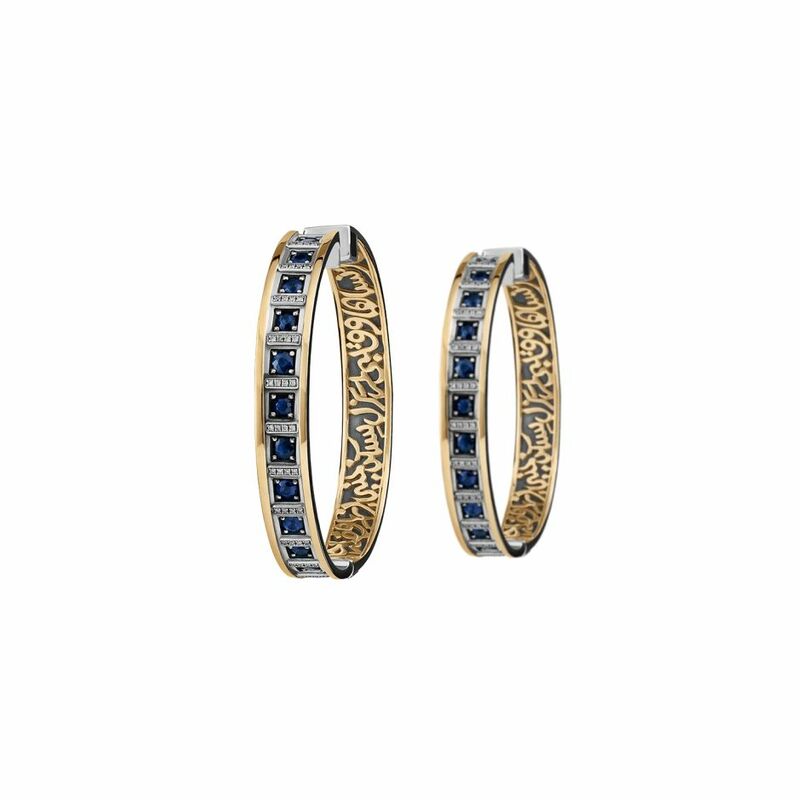 ‘My Eternity’ the enchanting words spelled in this 18kt gold button pair set with pave diamonds all around, sung by Egyptian icon Umm Kulthum.